Introduced in 1964, GE's T64 engine pioneered a number of technical innovations that influenced generations of GE engines, such as corrosion resistant and high-temperature coatings, front-drive free turbines and film-air-cooled turbine nozzles and blades. Though not in production, today's T64 incorporates new design and material technologies that have improved its performance and reliability and have doubled its original power rating. 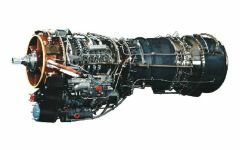 The T64 engine is used in multiple configurations in the H-53 helicopter. It has provided reliable service for the past 25 years with continued use anticipated. The CH-53D Stallion has two General Electric T64-GE-413 turbo-shaft engines producing 3925 shaft horsepower each. The CH-53E Super Stallion has three General Electric T64-GE-416 turbo-shaft engines producing 4380 shaft horsepower each. The CH-53E is a follow-on for its predecessor, the CH-53D. Improvements include the addition of a third engine to give the aircraft the ability to lift the majority of the Fleet Marine Force's equipment. By the early 1980s the T64-416 was in production for the CH-53E and the T64-717 engine was in limited production for the Israeli H-53. The newest T64, the -419, gives U.S. Navy Sikorsky MH-53E Sea Dragon helicopters increased power for minesweeping operations. The XC-142A experimental vertical/short takeoff and landing (V/STOL) aircraft was designed as a prototype for a practical intra-theater transport capable of delivering cargo to forward combat positions. In order to operate from short, unimproved strips or from aircraft carriers at sea, it was designed with a pivoting wing and four T64-GE-5 3080-horsepower turboprop engines. A complex interconnected drive system linked the 15-foot fiberglass propellers and allowed a single engine to turn all four lightweight props if necessary. The Lockheed AH-56A was designed to meet the U.S. Army's requirement for the Advance Aerial Fire Support System (AAFSS).The Cheyenne was powered by one General Electric T64-GE-16 3435 shp turbine engine. The AH-56A had a speed of 246 mph (214 knots). In October 2004 the H-53 Heavy Lift Helicopter Program Office at Naval Air Station, Patuxent River, MD, had a requirement [N00010-02-G-3236] for the following services: testing of H-53 test kits; engineering and logistics services required as the result of engineering and process changes (e.g., data analysis, development of test plans, delivery of newly developed training courses and revisions of existing courses); providing sustaining engineering services and revised technical manuals required as a result of service related/production revealed deficiencies and changes for T64 engine and/or support equipment; preparing new/revised engineering drawings and associated data in support of engineering changes for T64 engines and related equipment; providing materials and services necessary to repair/modify/restore/return ready-for-issue condition components required in support of changes to T64 engines, including refurbishment of support equipment/tools; preparing Engineering Change Proposals, inclusive of research and development efforts, for safety, reliability and common equipment changes; providing Integrated Logistics Support, to include engineering and technical support for T64 engines/support equipment/trainers/and related equipment; providing Program Management support, to include attending/supporting briefings and meetings, developing schedules/proposals/cost estimates; providing administrative/financial data and technical data for tasks specified under each delivery order. This work was awarded on a sole source basis, by means of a modification to an existing Basic Ordering Agreement N00010-02-G-3236 with General Electric Company, General Electric Aircraft Engines (GEAE), One Neumann Way, Cincinatti, OH. GEAE is the only source with the necessary technical data, knowledge, experience, and expertise required to perform these efforts. In addition, only GEAE has the specialized tooling and manufacturing capability necessary to produce components in the time frame necessary to prevent further degradation of H-53 fleet readiness. The term of the work under this BOA will be from November 2004 through February 2007. 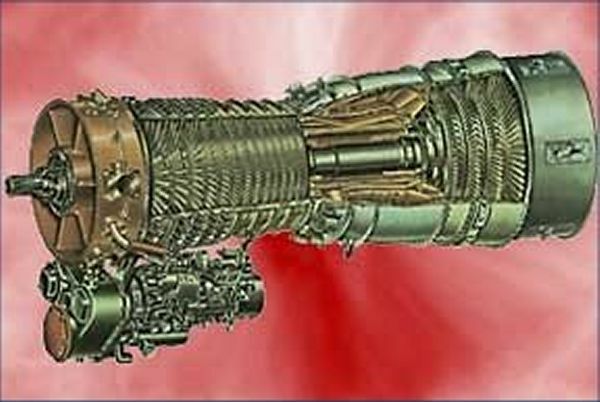 In 2005 cracks were found in some retired stage 1 disk and shafts which were removed from military T64 engines and are equivalent to the CT64-820-4 P/Ns 6004T47P03 and 4921T10P02. The cracks were located at "small feature" locations. A "small feature" location is any rotating hardware feature with drawing radii less than 0.020-inch, that could become potentially life limiting. These cracks were difficult to find due to the nature of their geometry and location on the part. The cracks were confirmed upon metallurgical evaluation of cut-up sections of those parts. 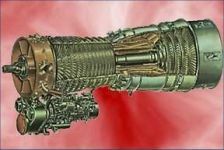 This condition, if not corrected, could result in an uncontained failure of the stage 1 turbine disk and shaft, resulting in damage to the airplane. The Navy undertook the conversion of the current T400 Test Cell #2 Turbo Shaft engine test facility to a Versatile Engine Test System (VETS). The T400 Test Cell #2 is located in Building 133 at the Naval Air Depot, Cherry Point, NC. The proposed VETS conversion shall consist of all design, demolition, acquisition, integration, installation, and testing tasks necessary to successfully complete the performance requirements of this document. The initial focus for the VETS is the development of automated testing and data collection for the General Electric T64 turboshaft engine.